I recently bought a new cell phone. My new phone is a much more sophisticated tool than my previous one. It has many features that will allow me to use one gadget for multiple purposes. Now I can listen to FM radio or my own imported music as well as receive phone calls and do texting and surf the web. In addition I have a camera for the casual photos or videos I might want to get. So I think this is a great gadget. Perhaps I am behind the wave of youth and their gadgets but hopefully I can catch up. Unfortunately the learning curve is rather steep for my new gadget. The menus and instructions are only semi-intuitive. Downloading music and transferring picture files required some serious experimentation and study. Two weeks into the use of my new phone I am quite comfortable with the multiple possibilities. Common wisdom is that it takes three weeks to establish a new habit so I have a ways to go. 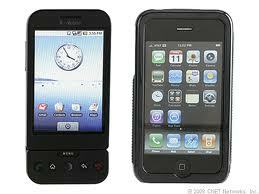 Many cellular service providers are now touting simple phones for seniors(make that geezers). This is a boon for some geezers that are simply into having an emergency phone at their fingertips. I considered going with one of these simple phones but determined that I still had the need for the flexibility of multiple uses. In fact my geezer mind says that having one multipurpose tool beats keeping track of an MP3 player, a cell phone and a digital camera. A few months ago I was in conversation with one of the senior ladies in our church about cell phone use. She had yet to learn how to enter into her phonebook common numbers she would want to call. She had written them on a piece of tape on her phone so she could dial them in. Perhaps I should start a service project to assist seniors to learn how to use their phones effectively. However, it is not just seniors who are challenged by new technology and gadgets. Often we all encounter gas pumps, credit card scanners, atm machines and the like that challenge our abilities to navigate their systems. And we all know the challenges of programming our remote controls for television, cable, and dvr's. I am looking forward to the brave new world where these devices are more intuitively operated. In spite of my apparent pessimism about learning to use new gadgets, my engineering side loves them. Especially when they provide an improved quality of life or an exciting new experience.